Affordable living at Oasis Country Estates. 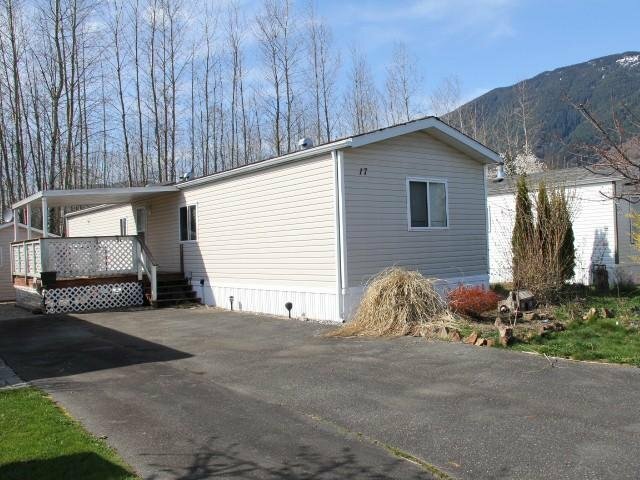 Updated manufactured home with open kitchen, dining & living rooms, newer windows, 2 big bedrooms and wired 10x10 workshop. Located on the west side of the park, backing onto greenbelt and feature s a large covered sundeck and fenced yard area. Lovely complex located 15 minutes east of Mission with security gate, mountain views, lots of greenspace and RV parking available. Located on the Adult side of the park.